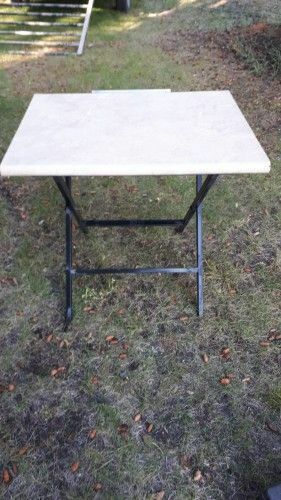 Folding work table for sale. Measures inches by 26 inches on top. 29 inches tall. $15. Phone 250 785 5964.